Dr. Jason Winters, possesses an exceptional ability to help his patients feel at ease and understand the treatment he is performing. He has been practicing in West Haven, CT for over 10 years. Being born in Newport Beach, California, he resided in California his whole life before going to dental school. 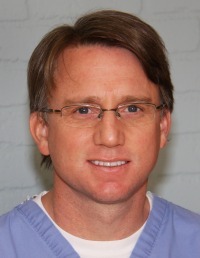 As a graduate from California State Polytechnic University in Pomona in 1995, with a Bachelor of Science degree in Biology, he continued his studies and graduated from Tufts School of Dental Medicine in 2000 with a degree of Doctor of Dental Medicine. In 2001, Dr. Winters joined the practice of Dr. Stephen Krawczyk and immediately became liked by the staff and patients. Dr Krawczyk decided to retire in 2003 and felt Dr. Winters was an exceptional dentist to take over his practice. In 2003, Dr. Winters purchased the dental office from Dr. Krawczyk and kept his entire staff. He has kept up-to-date on many continuing education classes making sure his patients receive the best comprehensive dental care. Dr. Winters is a member of the American Dental Association, the Connecticut State Dental Association and the New Haven Dental Association. Dr. Winters resides in Guilford, CT with his wife Noelle and their daughter Chloe. In his spare time, he enjoys golfing, skiing, soccer and playing electric bass. Dr. Winters is dedicated not only to providing the best of his education and experience, but also to providing a comfortable atmosphere. He tries to involve you in your dental care as much as possible, so that you can be an active partner in achieving beautiful teeth that will be strong and healthy for life.